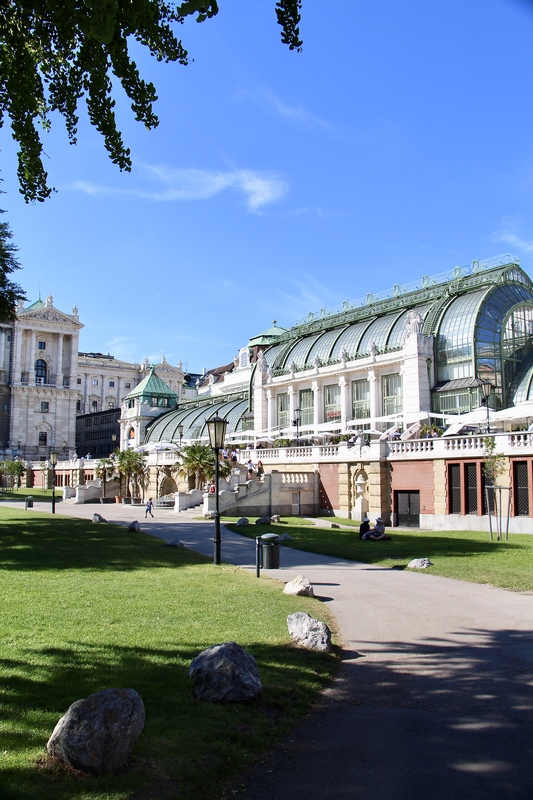 Located on the Danube River in Austria, Vienna is a beautiful and romantic city filled with rich architecture and grand buildings. 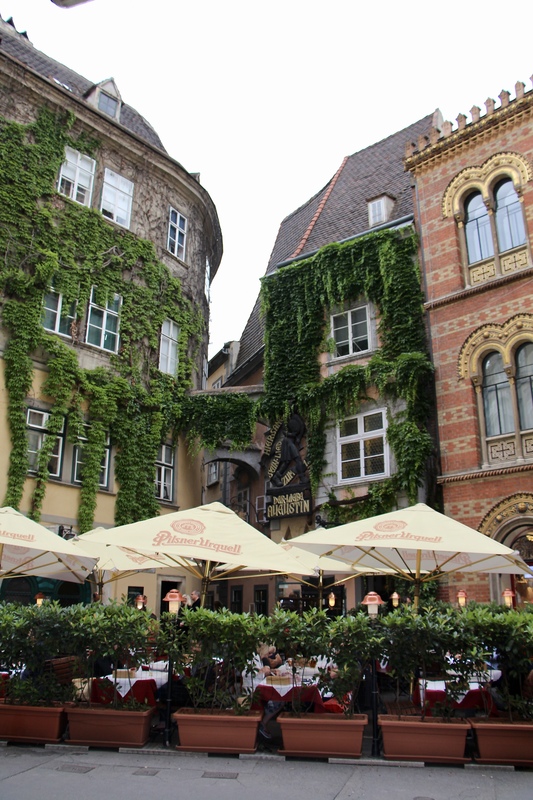 And did I mention that the coffee is delicious and the schnitzel is spectacular?! 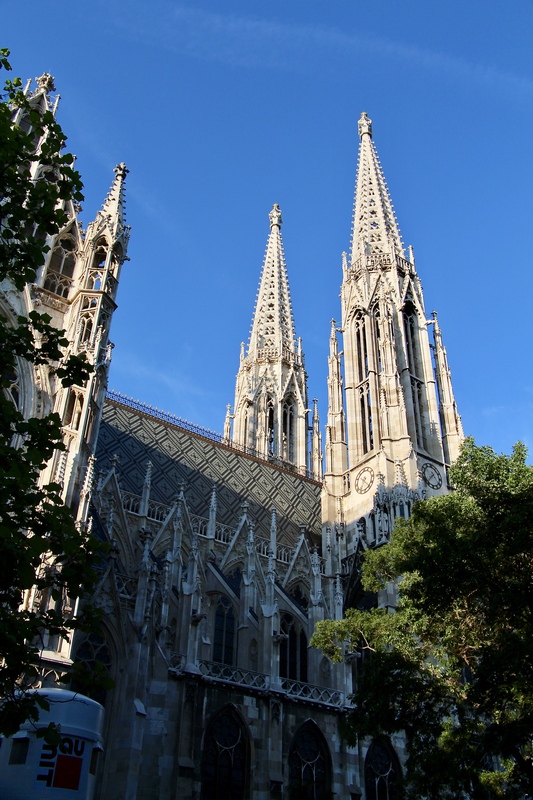 For us, Vienna was the last city stop on a two-week vacation through Germany and Austria. 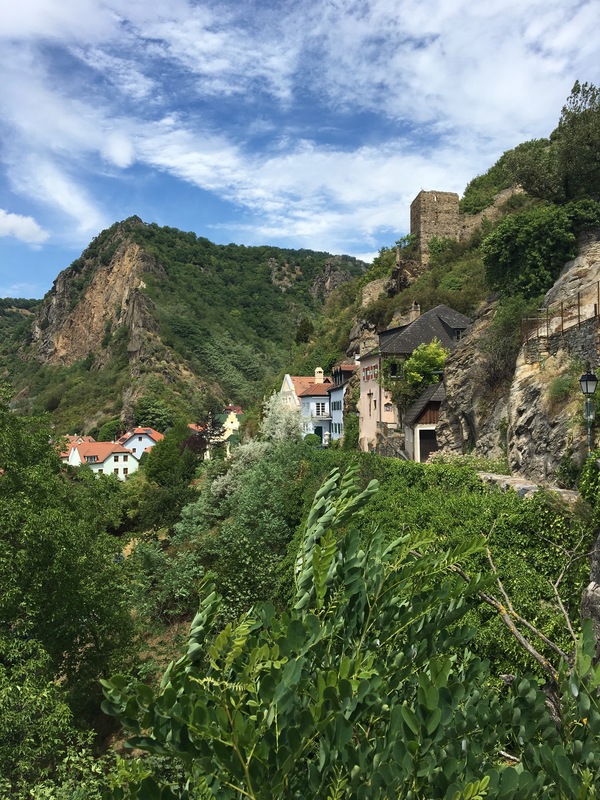 We didn’t over plan our stay, but managed to hit some of the highlights and get out into the countryside to see the beautiful Wachau Valley! 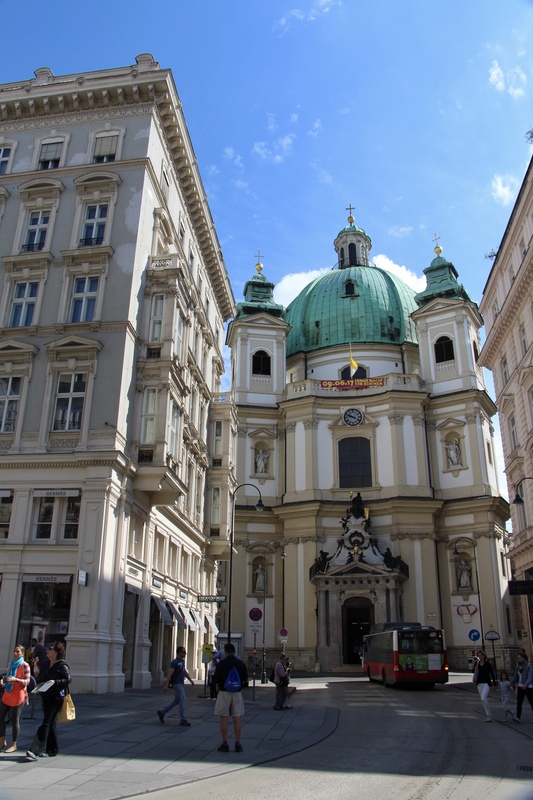 Walking through the city and admiring grand architecture around every corner is something we could have done for days on end in Vienna. 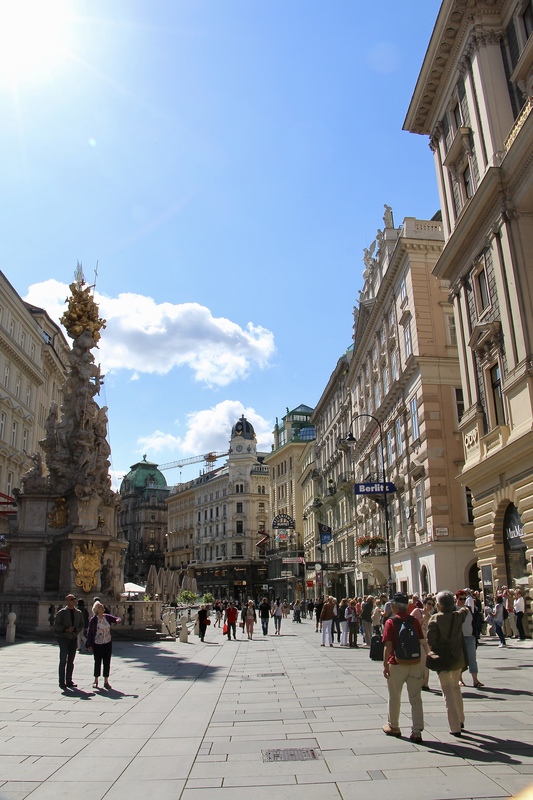 This city truly is a beauty. 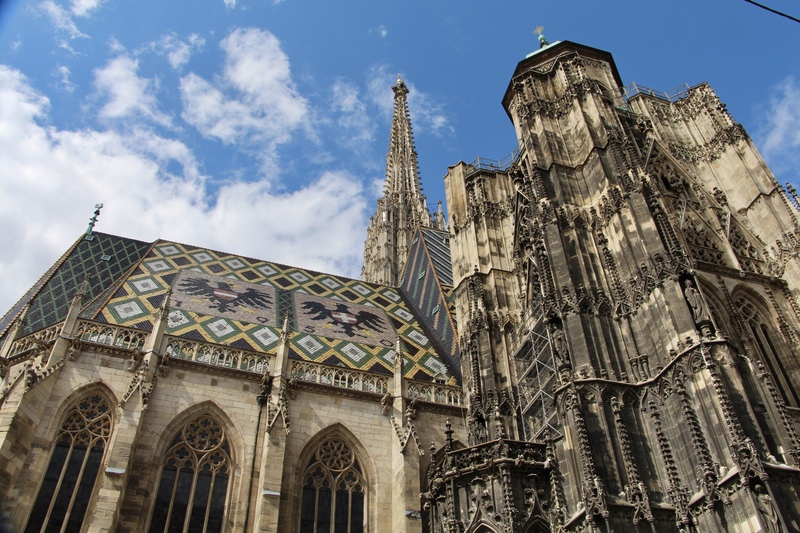 From the detail in the buildings and the grandeur of the boulevards to the pristine parks and the spires of St. Stephen’s Cathedral, it’s more than enough to keep anyone mesmerized for quite a while. 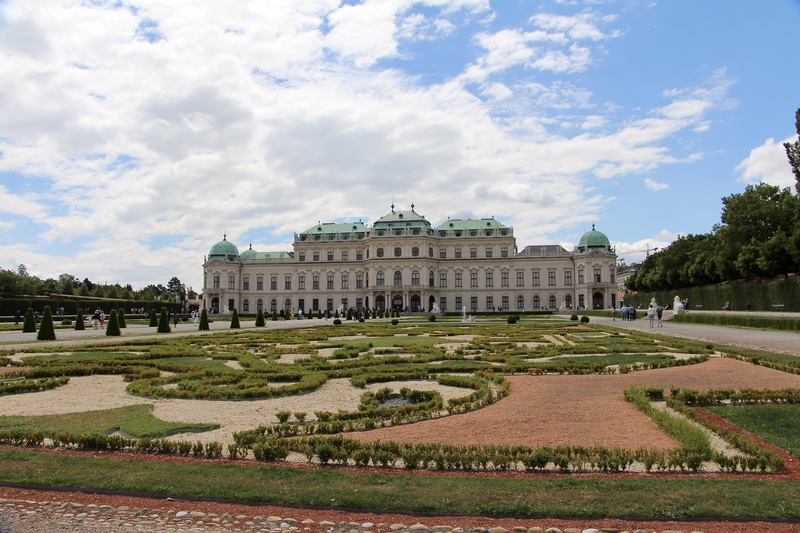 We spent a wonderful afternoon wandering the gardens of Belvedere Palace. 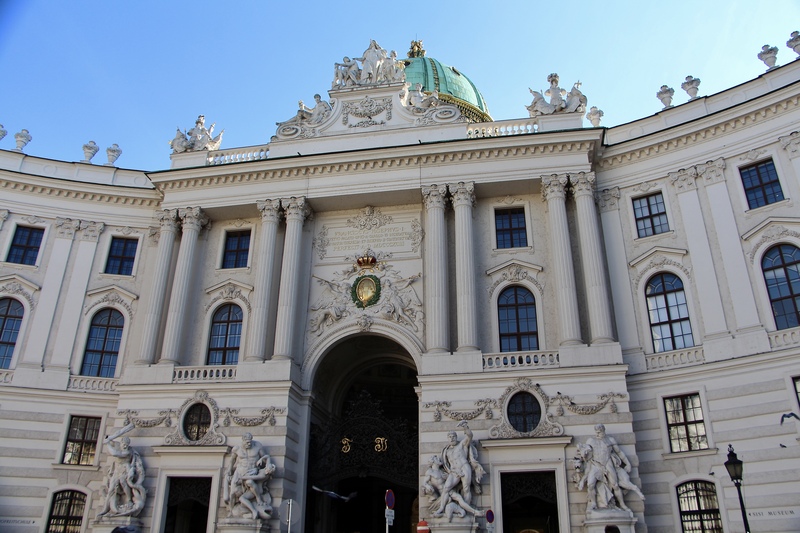 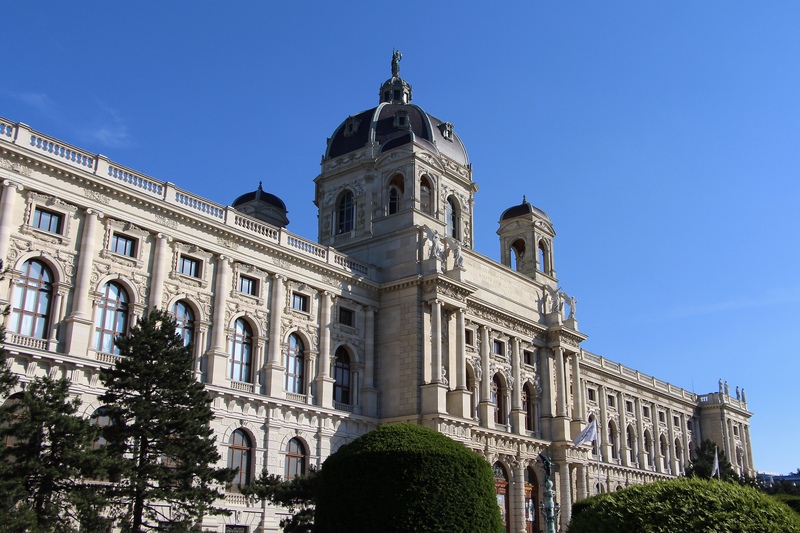 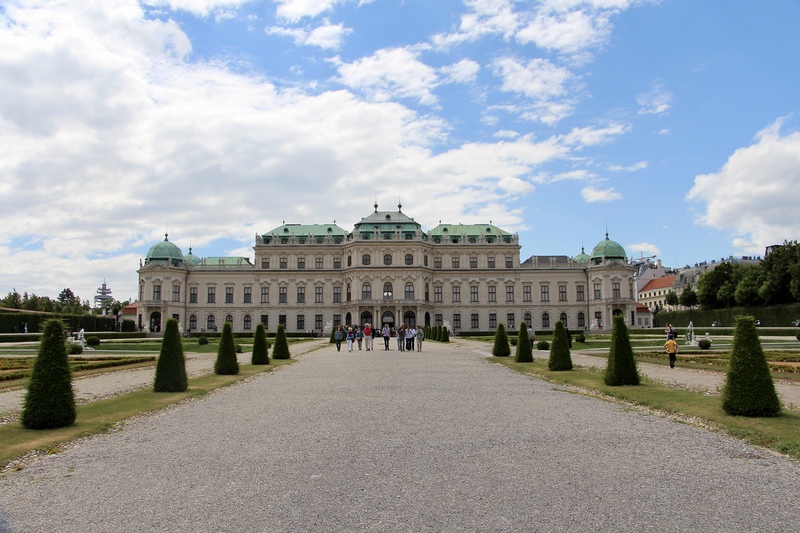 It’s a stunning, picturesque place and if you venture inside the palace, you’ll find art from the Middle Ages to the present day at the Belvedere Museum. 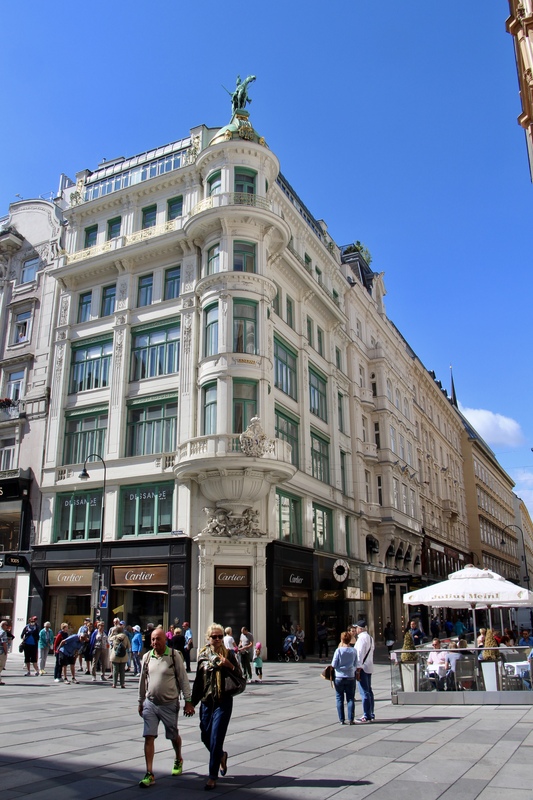 It’s certainly worth slowing down and enjoying a delicious cup of Viennese coffee and a scrumptious sweet treat at one of Vienna’s many cafe’s. 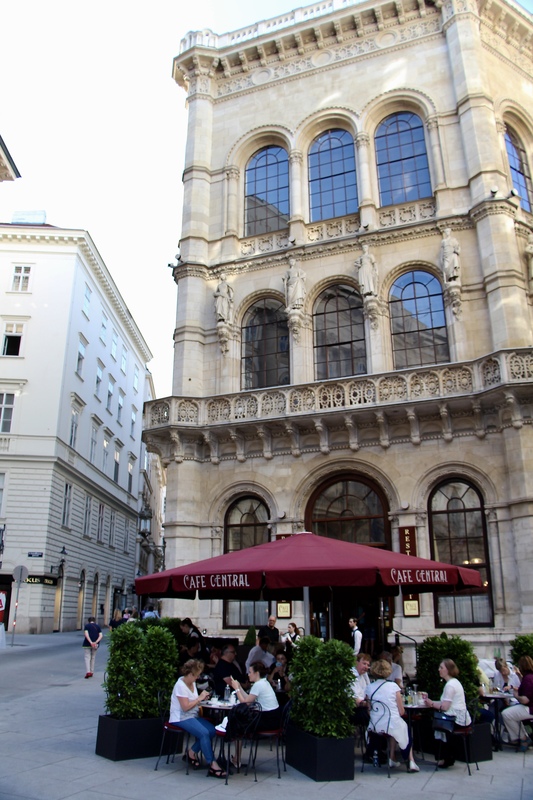 We chose Café Central. 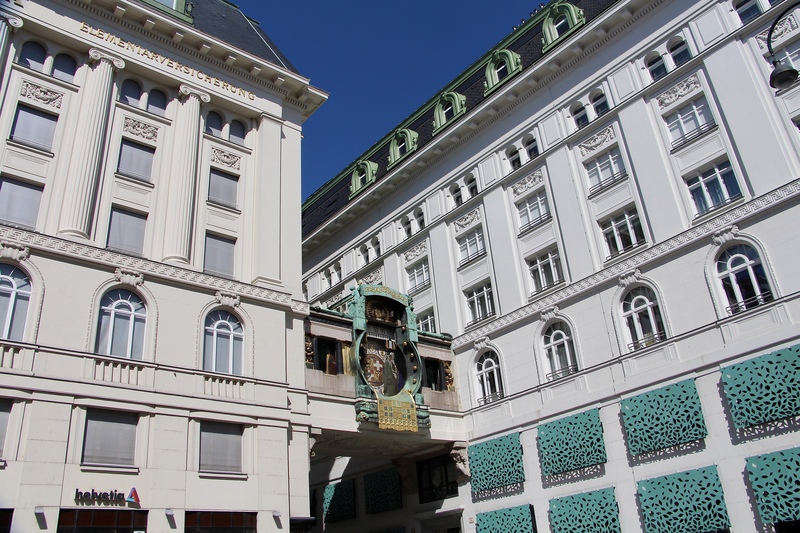 On top of the delicious treats and coffee, the interior of the cafe itself was gorgeous “classic Vienna.” We loved it! 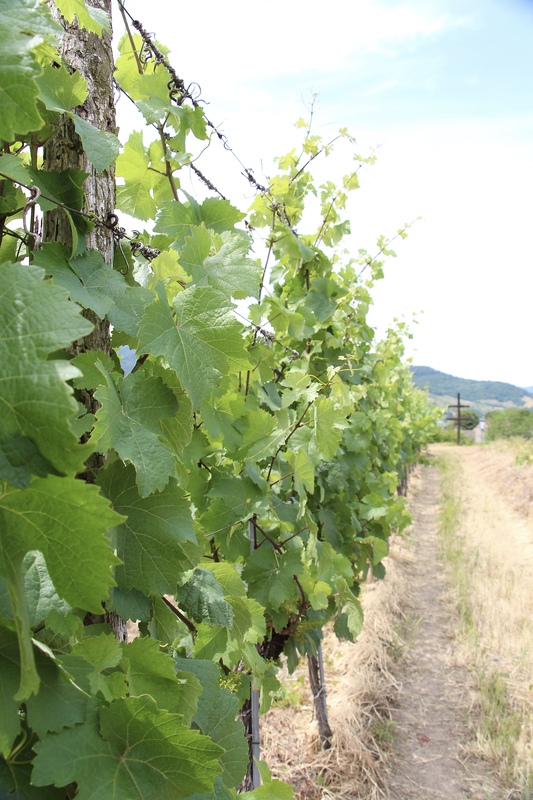 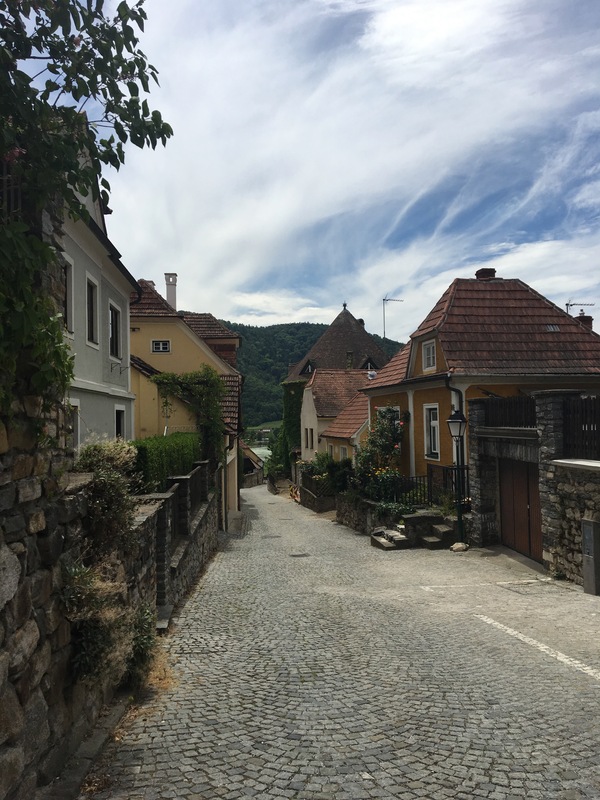 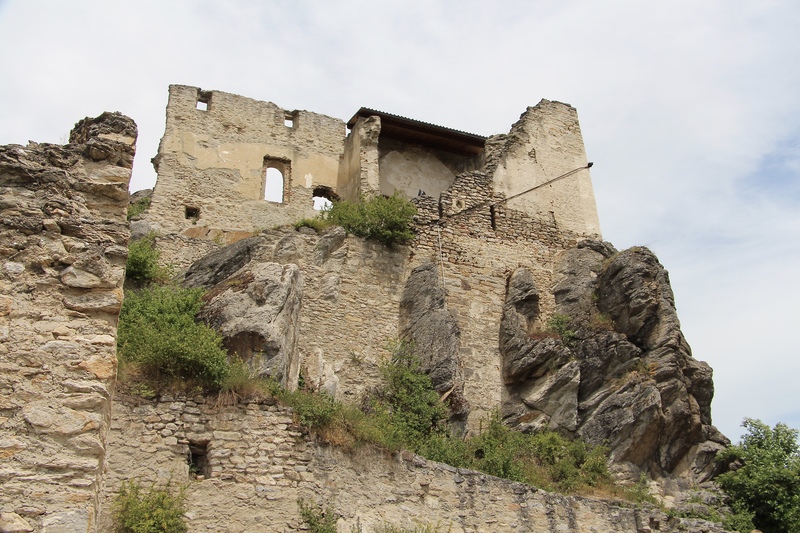 We made the decision to venture outside the city to experience the Wachau Valley. 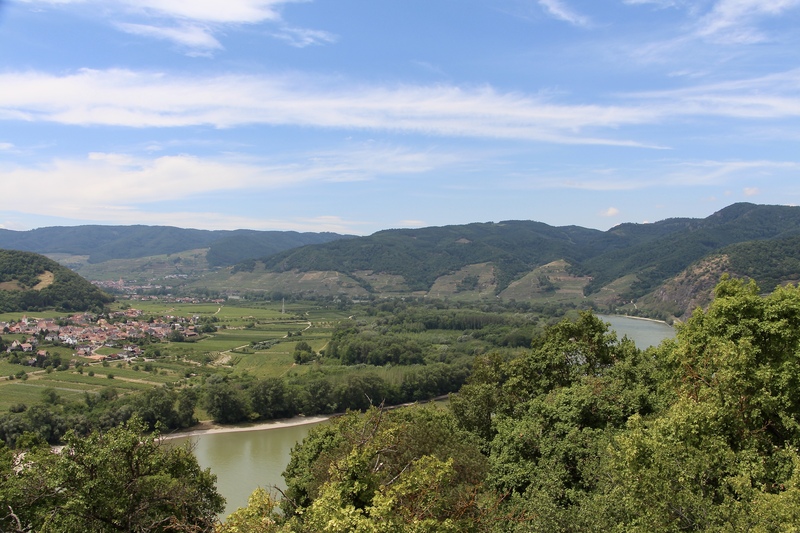 Known for it’s rolling hills and vineyards, the Wachau Valley is located near the Danube River, west of Vienna. 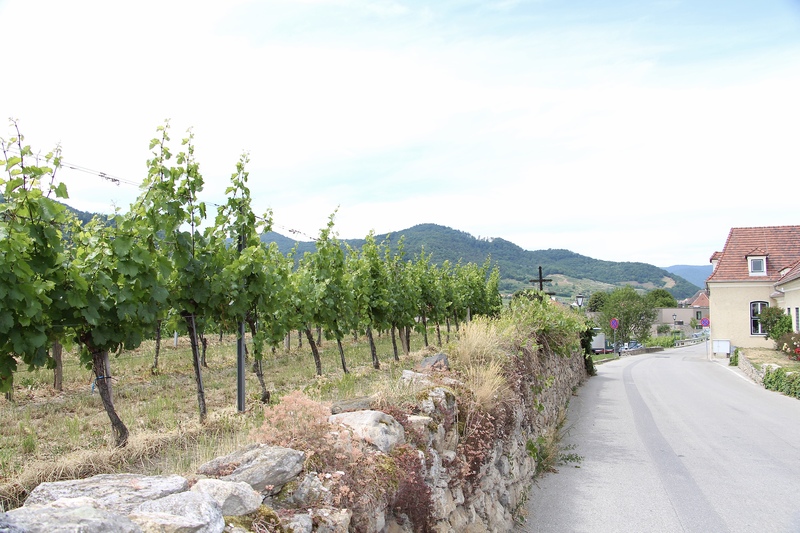 It’s a beautiful area to see, and the white wines produced in the region are crisp and delicious. 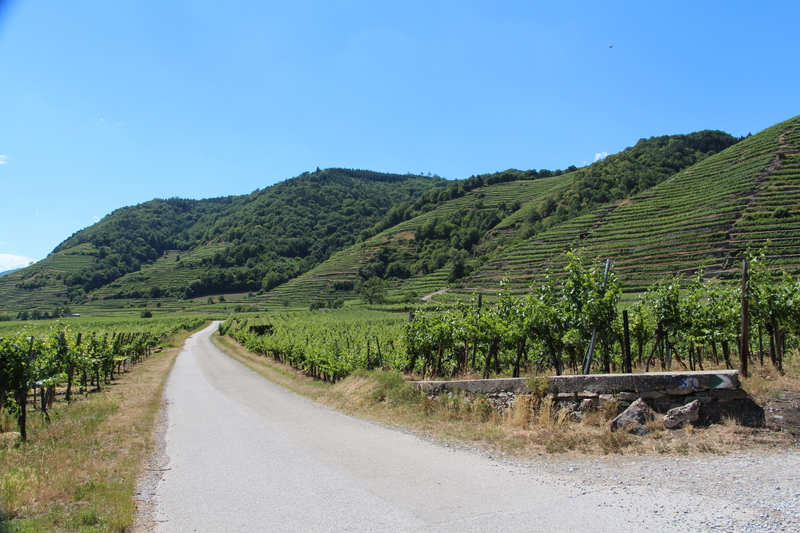 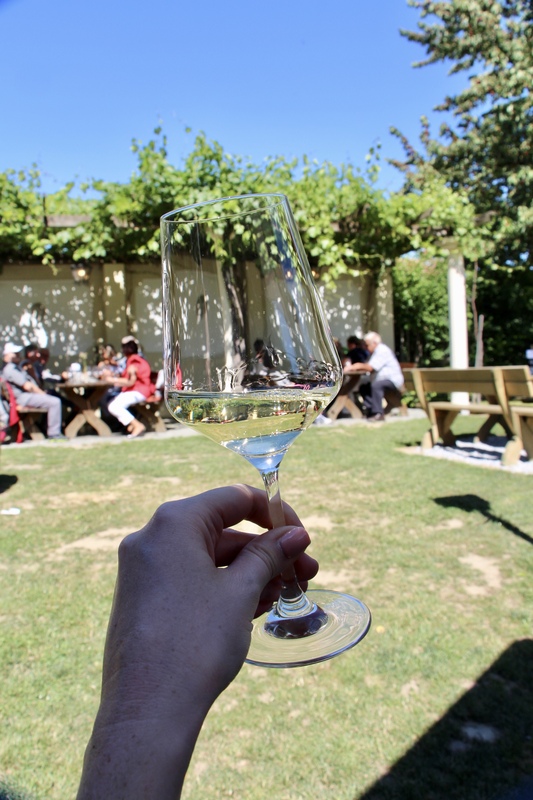 We booked a winery bike tour through Vienna Explorer and loved every moment of it. 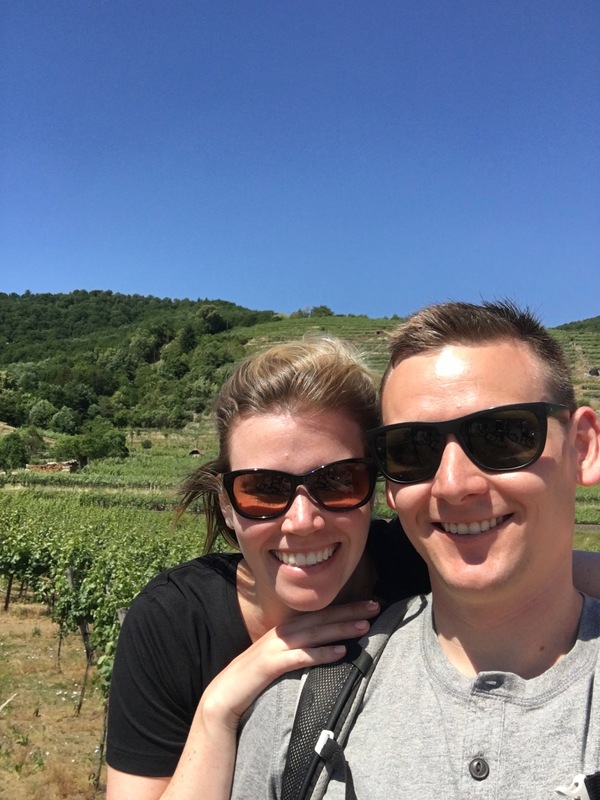 The bike ride was leisurely and we stopped at some wonderful little villages and wineries for tastings. 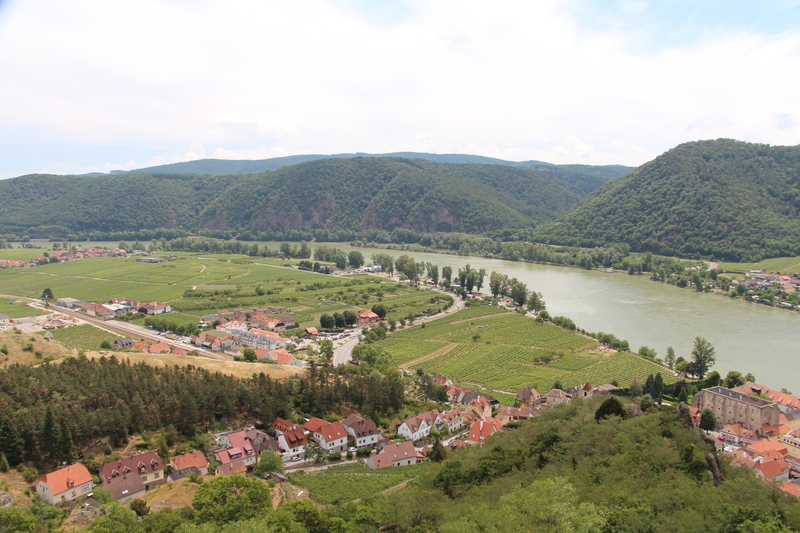 And then there were the views of the Danube! 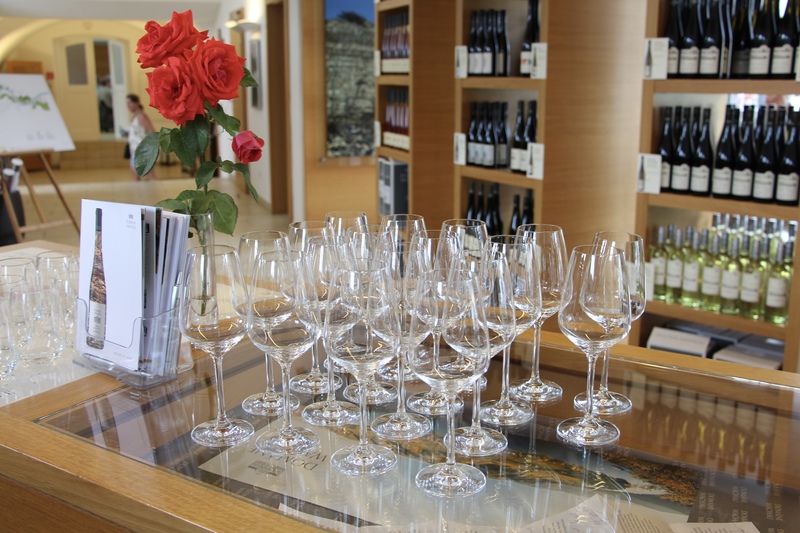 The wine was delicious and the wineries themselves were lovely to experience. 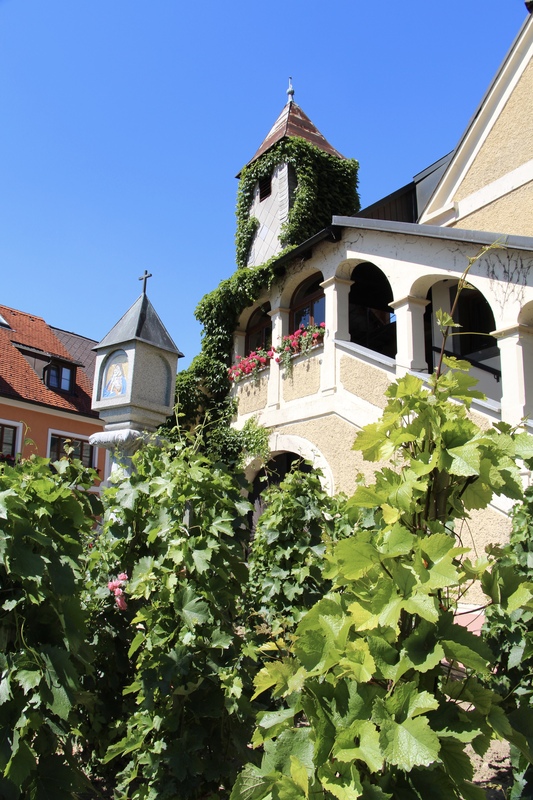 This area may not be as popular as the Rhine Valley in Germany, but it’s coming up quick! 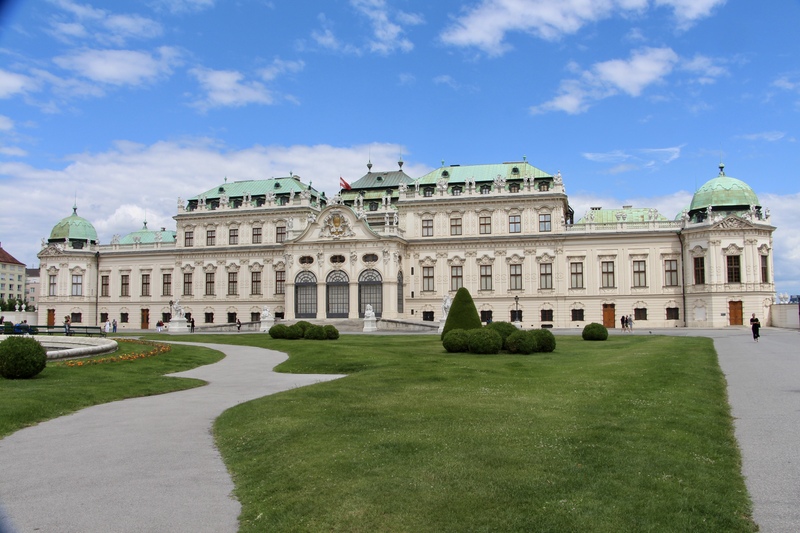 I would highly recommend taking a tour like this to see this area of Austria! 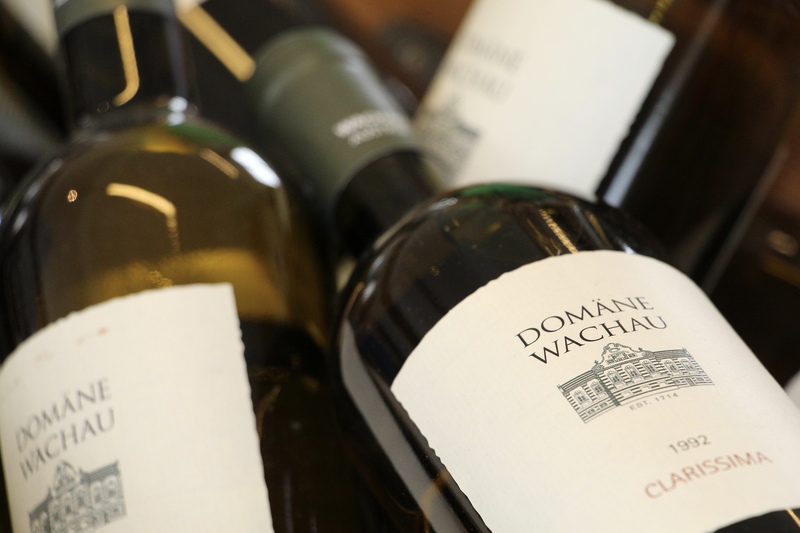 You really shouldn’t miss it – especially if you’re a wine-lover! 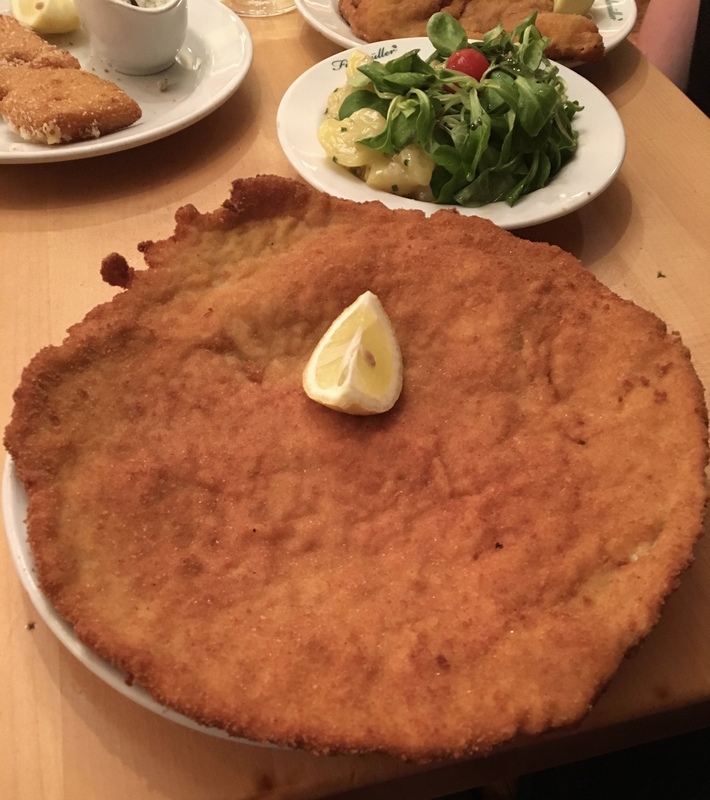 I tend to save the best for last, and for me, my favourite moment in Vienna was devouring real Viennese schnitzel that was bigger than my face at Figlmüller. 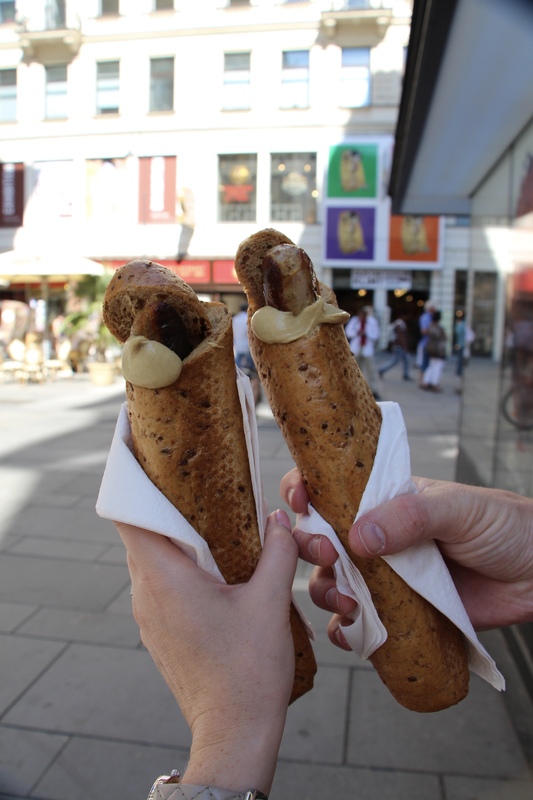 Other honourable mentions for delicious eats in Vienna go to all the food stalls in Naschmarkt, the nice gentleman at a würstelstand who provided us with amazing bratwurst in a bun (I’m all about meat in tube form!) 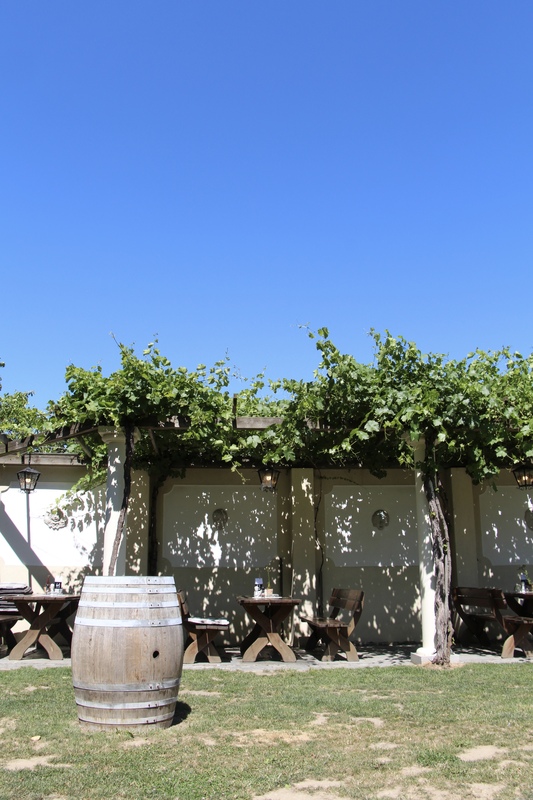 and the wonderful French restaurant who’s name I can’t remember due to all the wine, and the delicious bone marrow, liver and steak we enjoyed there. 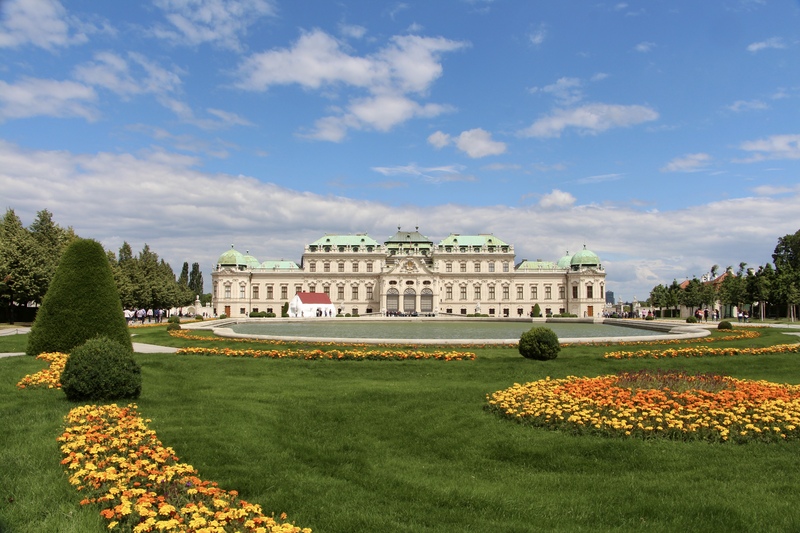 When I was looking for ideas on what we should see and do in Vienna, I stumbled upon a bloggers post that referenced their Vienna Bucket List, and it made my life happy. 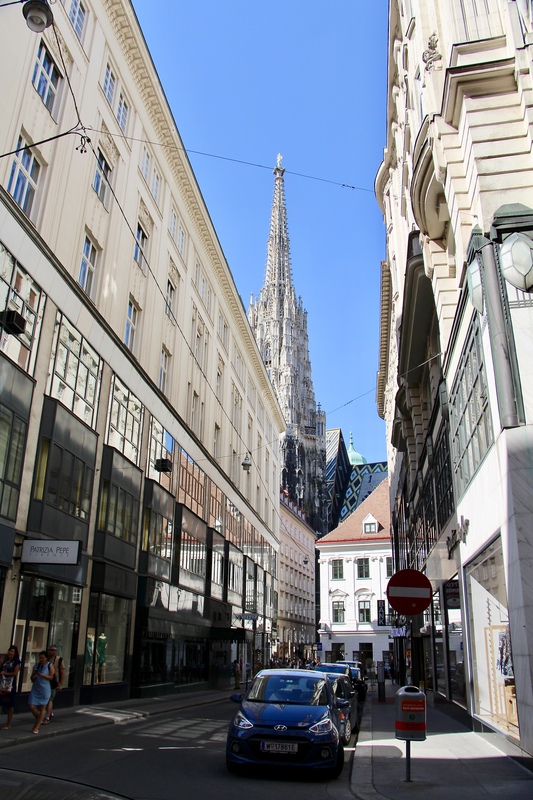 If you’re planning a trip to Vienna, I highly recommend reading this post, and quite frankly, the whole blog. 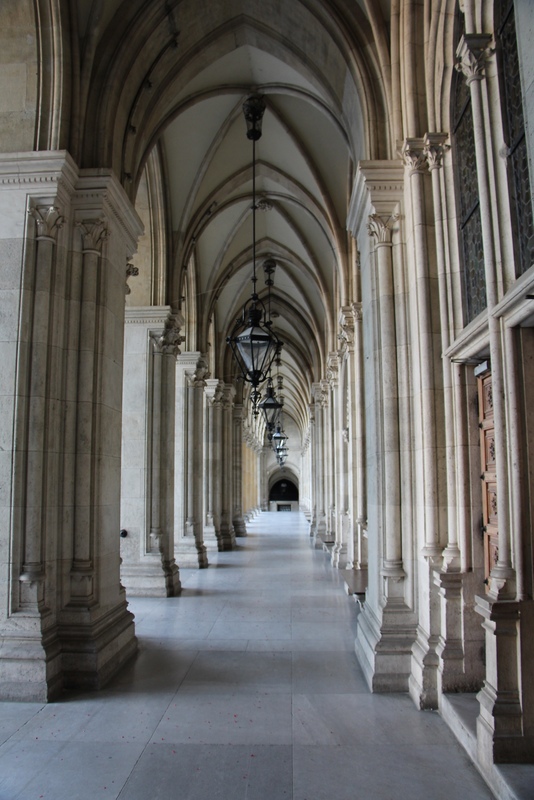 There’s so much great information! 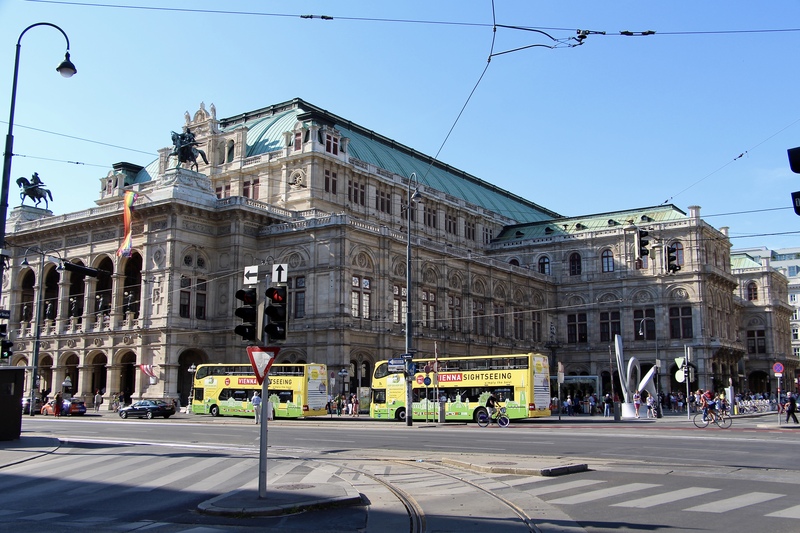 It helped me a lot. 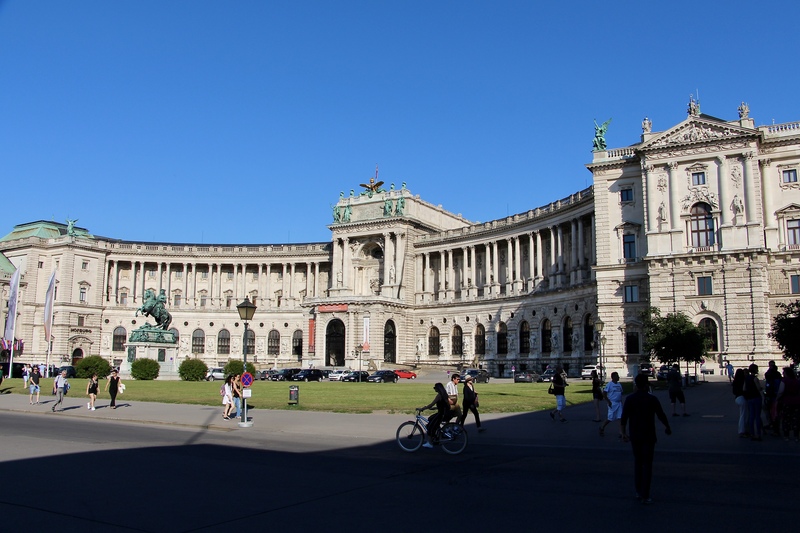 Vienna is a large city and quite spread out as a matter of fact. 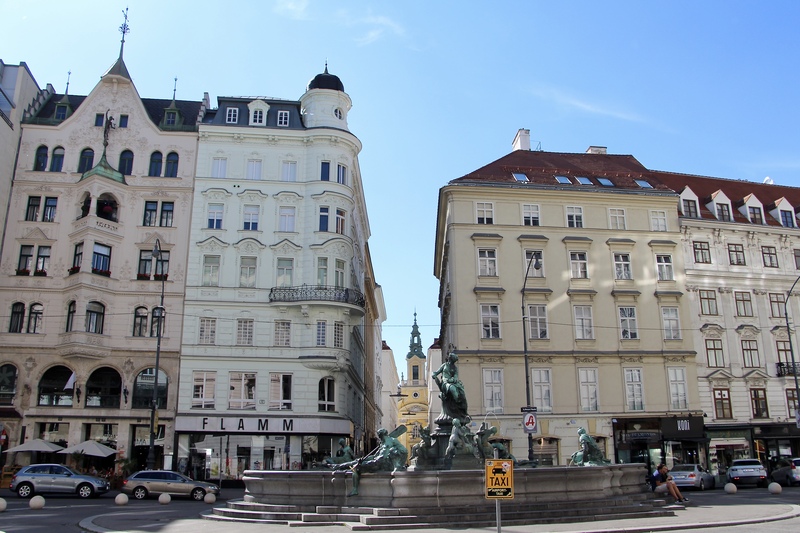 We found a hotel in the very centre of the city and the location really helped us make the most of our short visit. 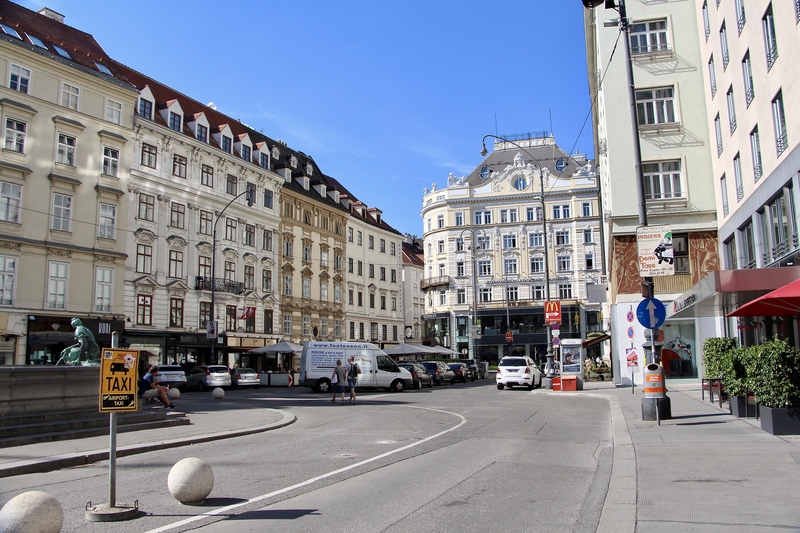 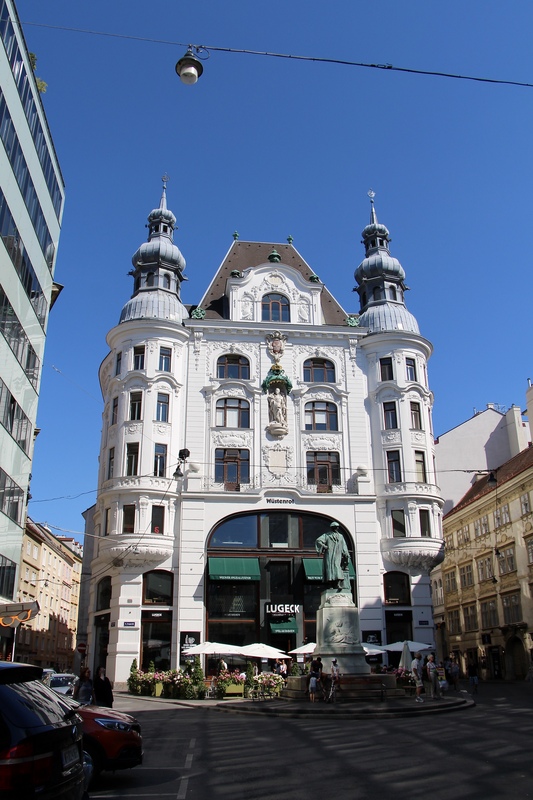 If you’re planning to stay in Vienna, the Inner Stadt area is convenient and close to all the main sights (we stayed at the Hotel Das Tigra and enjoyed it), or I would also recommend the Neubau/Liamgrube area where you’ll be surrounded by lots of great restaurants. 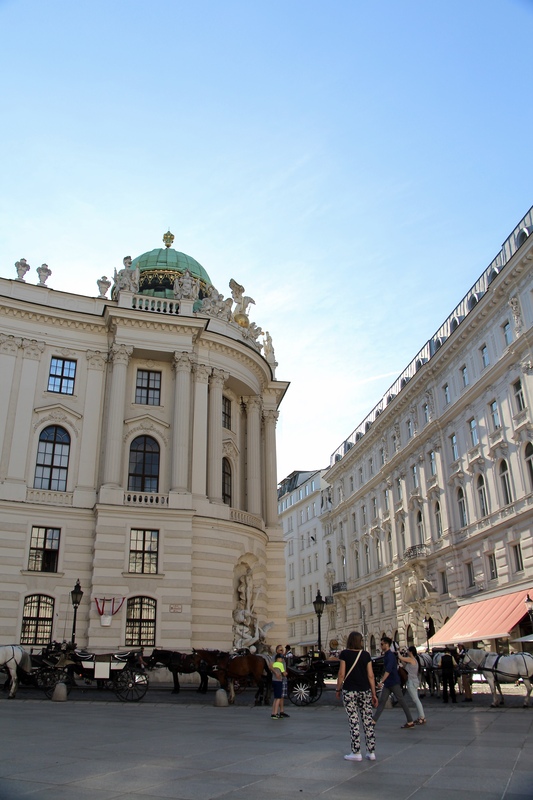 I wish we’d had more time to explore Vienna because there was so much I know we didn’t see and experience. 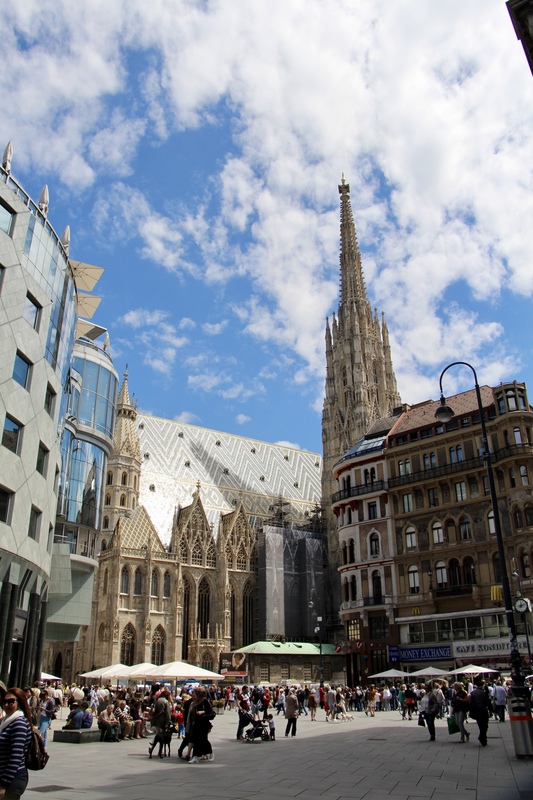 What are your favourite things to see and do in Vienna? 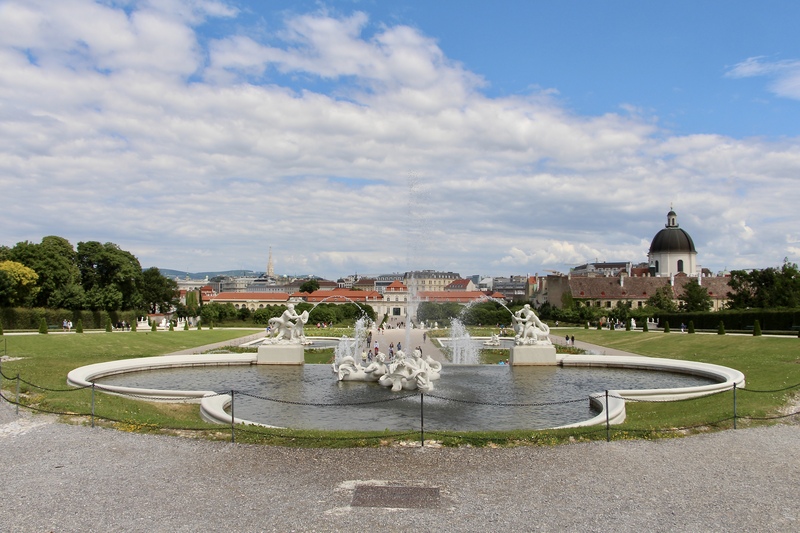 I’d love to know for next time!